I love polenta. It great all on it’s own, with butter and cheese melted in, but it’s even better as the base for yummy flavourful toppings. I rarely ever make it though because it’s a bit of a pain and I’ve never really been all that good at it. That just changed. I spent much of the afternoon flipping through a stack of old cooking magazines, ripping out the recipes I’m not ready to part with yet, and sending the rest off to recycling. 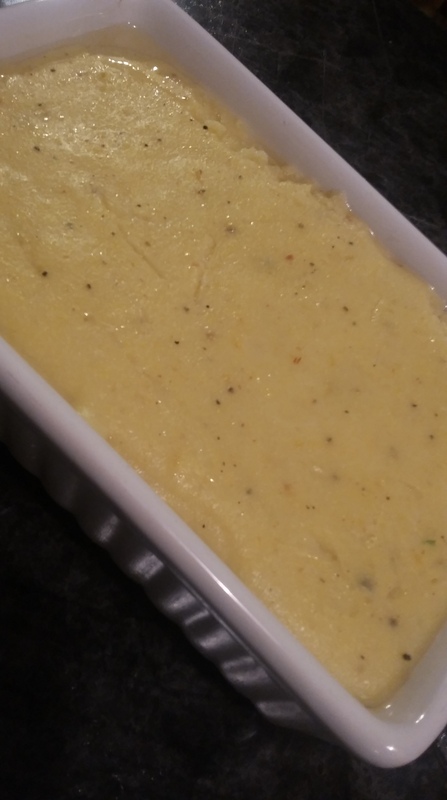 I came across a recipe for ‘easy weeknight polenta.’ I was skeptical but decided to give it a try. Whisk a cup of polenta into 4 cups of seasoned water in a pressure cooker. Put on the lid, bring it to pressure, cook 9 minutes, and release pressure manually. I didn’t have very high expectations. I even had back up dinner plans in case it didn’t work. When I took off the lid I found the most perfect creamy smooth polenta I’ve ever made. 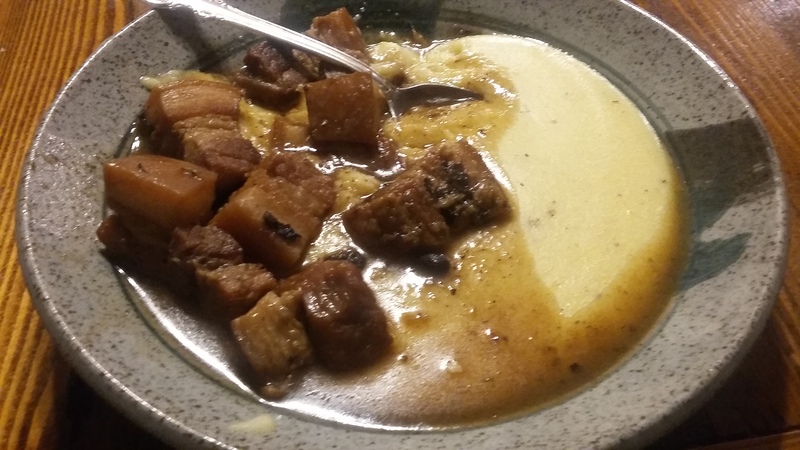 I stirred in some butter and grated cheese and topped it with some leftover braised pork belly. So good. I’ll definitely make it like this again. I poured the leftover polenta into a dish and put it in the fridge. The black flecks are pepper. Lots amd lots of pepper. It will firm up so that I can cut it, heat it up, and use it as a base for some other yummy dinner. This new method will, for better of worse, definitely increase polenta consumption. A successful day. A new way to make polenta. Less old magazines around. And a new way to use my beloved pressure cooker. Win win win. A busy winter week of food and whatnot. Paul S on First feed ever!